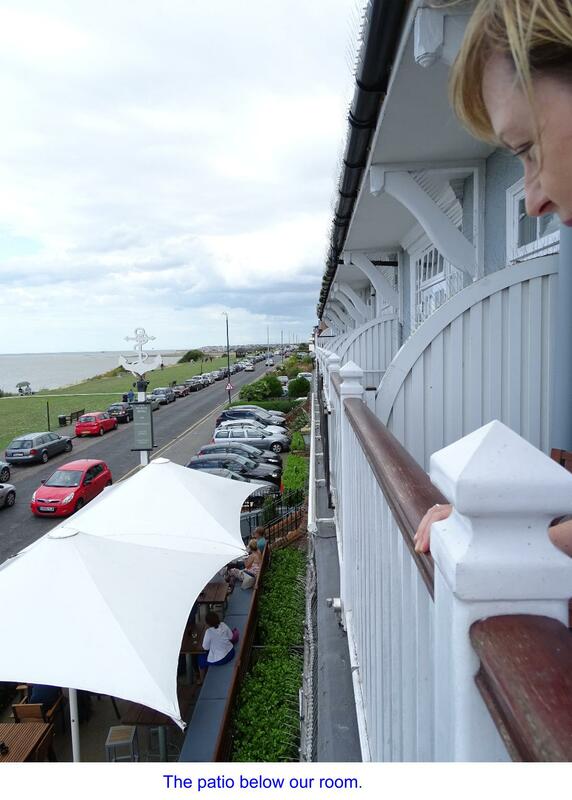 My friend booked us in on the Saturday night of August 19 at the Marine Hotel to celebrate my 60th birthday, her gift to me. We booked room 4 (I think!) 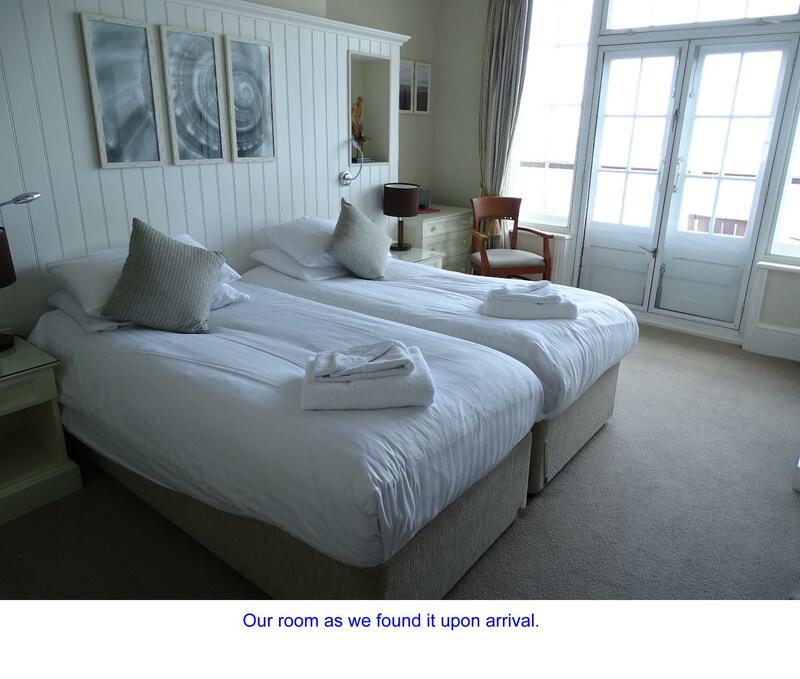 which had twin beds, a balcony and a sea view. 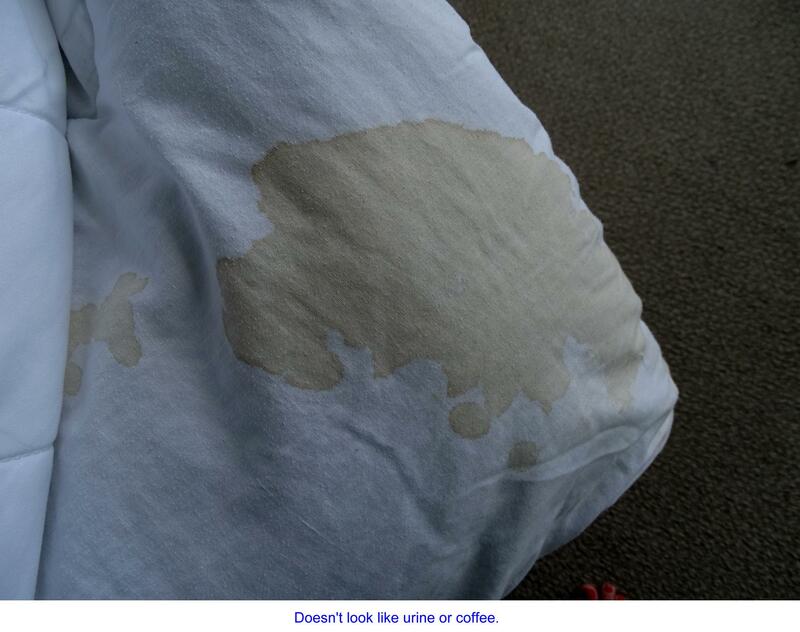 All was okay until we came back to have a cup of tea in the room and a little lie down. I was suffering a bit with very blistered feet. 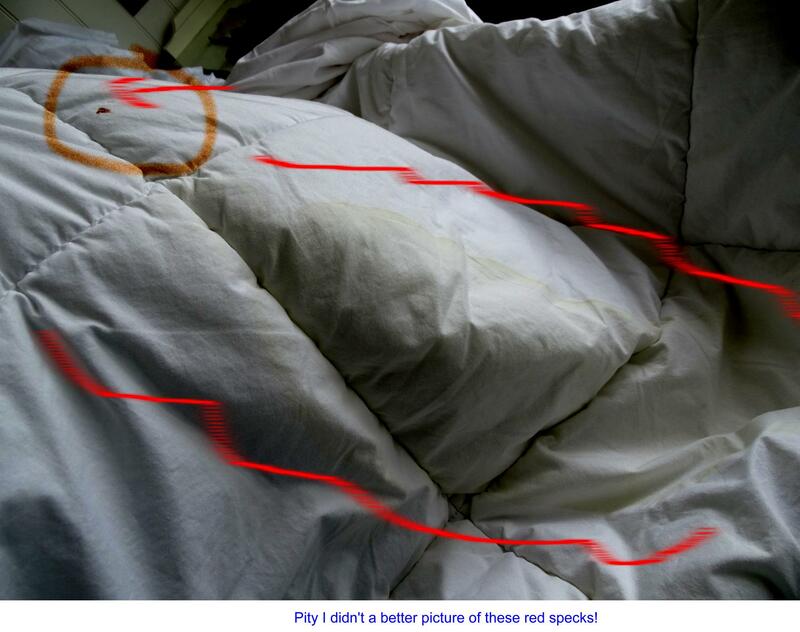 For some reason she moved the cover and noticed a few yellowish stain spots. 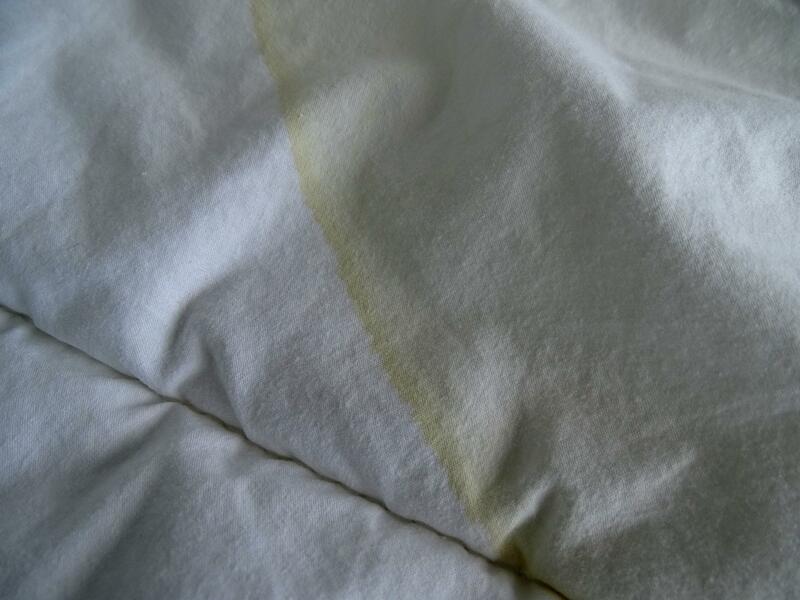 We were shocked and pulled the cover and duvet out even farther to discover more stains. 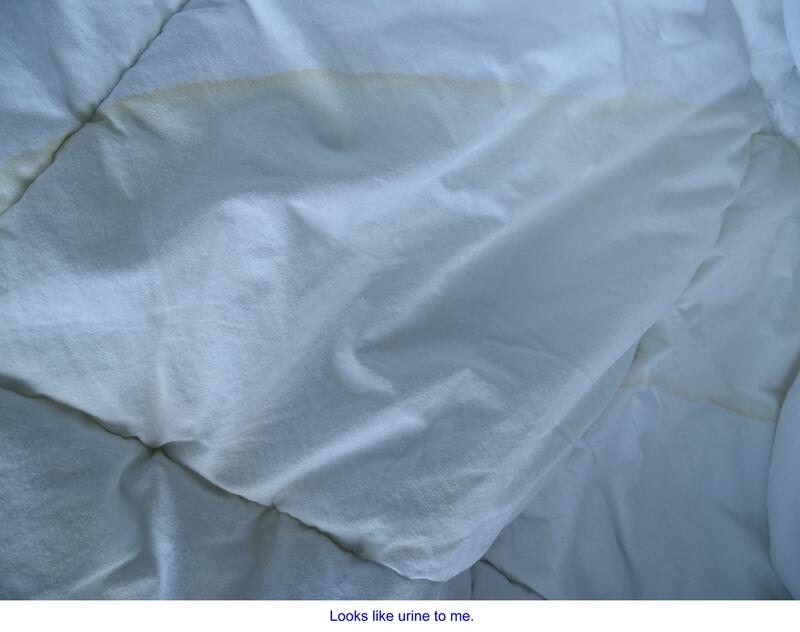 Then we saw a huge stain that looked like a urine stain along with little dots of dark stuff. Then we investigated even more and found what looked like mold which was about the size of a man’s hand. We called downstairs and asked if we could see the hotel manager. We were told she was busy (there was a wedding at the hotel that night) and that she would get in touch with us. We continued our disgusting discoveries and ripped my bedding apart as well. 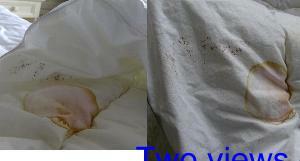 We found that old and dirty duvets were placed under our bottom sheet between the sheet and mattress. 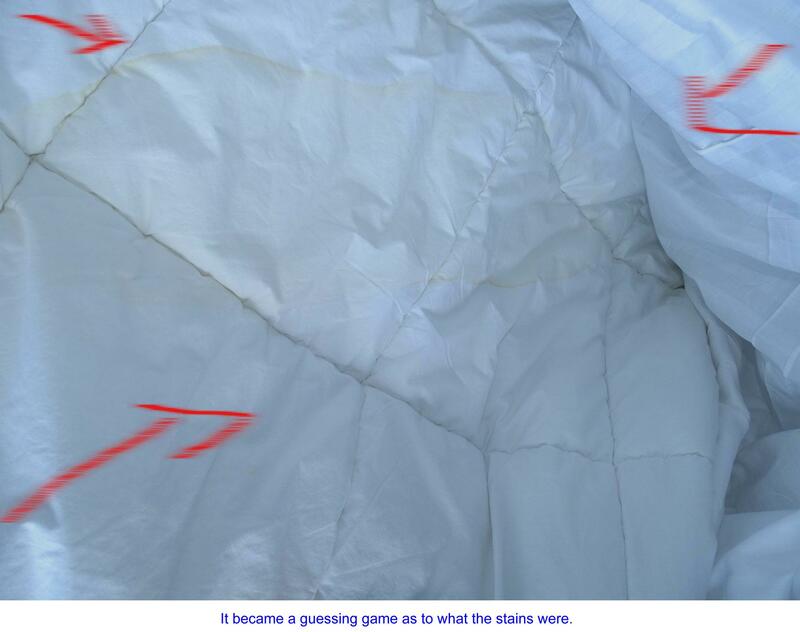 We also discovered dirty duvet/comforters inside the duvet covers. 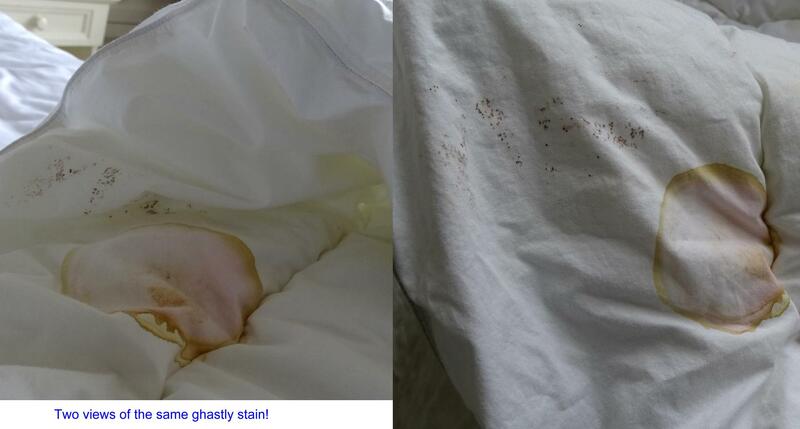 We went back to her bed and found two even bigger and darker stains, and a total of at least six horrible stains. We called downstairs again and asked if the manager could please stop by as soon as possible. She did, along with a member of housekeeping. She apologized and said they would take care of it. My friend then said that she had paid £170 ($230) for the night (at which I nearly gagged) and the manager said she would give my friend a discount upon checking out the next day. They replaced the sheets when we left for a walk. When we got back we checked and all had been taken care of but, our dirty tea cups from earlier were just left on the chest of drawers. I would have thought they’d have cleaned up really nicely but alas they didn’t. We were able to fall asleep around 1 a.m. once a very loudmouthed and inebriated woman enjoying herself below our room on the patio decided to go home. This was after countless ghastly cackles and tons of f-bombs. This lowered the tone of this hotel offering so-called “blissful relaxation”. The next morning we were seated in the front section of the dining area and the manager walked in and walked right past us without so much as a good morning or acknowledging us. She worked the breakfast room but avoided us. She spoke with guests two tables away from us but not to us which we both thought was very rude and dismissive in light of the afternoon before. 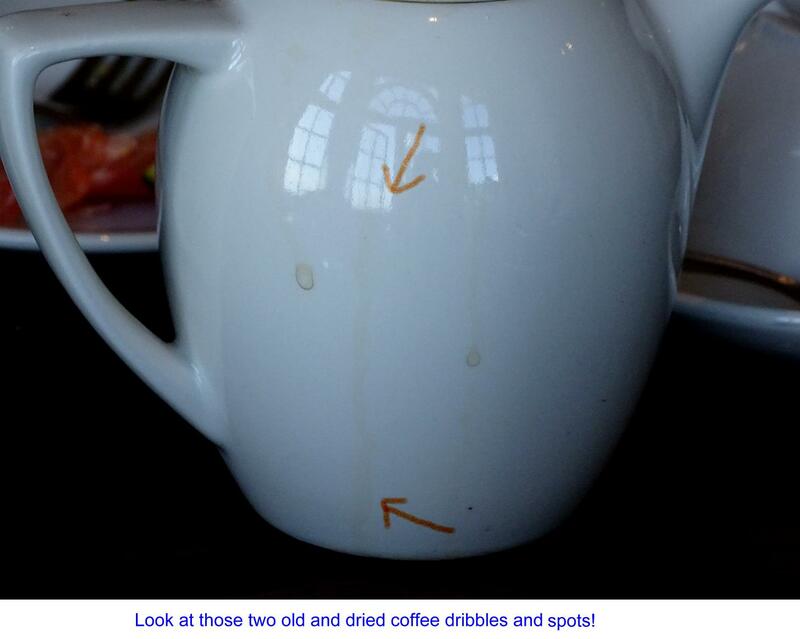 The next thing we discovered was my dirty coffee pot with old and dried coffee stains, obviously not washed properly. The breakfast was good but I have to say that our stomachs churned at the possibility of the lack of cleanliness in the kitchen, if the bedrooms were anything to go by. We left our bags and went for a long walk, still a little in shock at the disgusting state of our linen, and came back later to settle and retrieve our bags. The receptionist told us that the manager had given us a 25% discount. I was horrified but didn’t say anything. 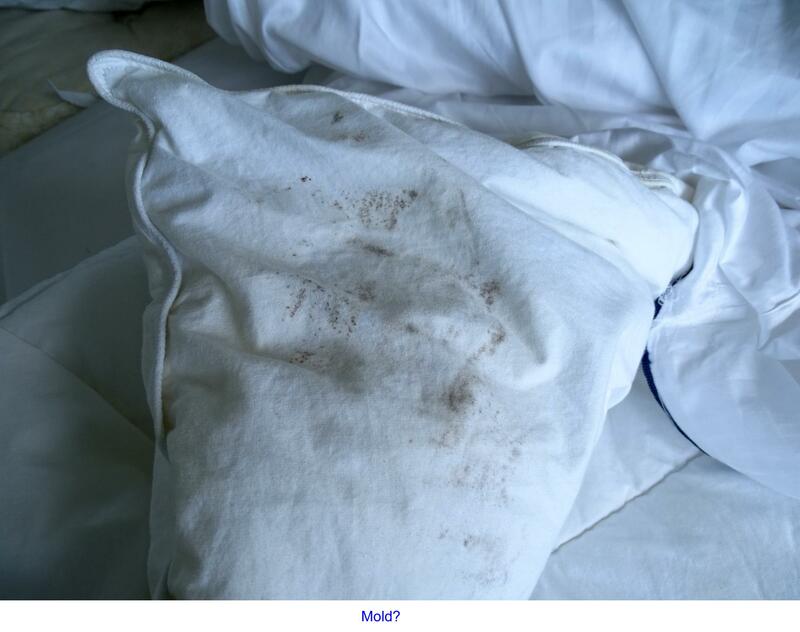 A £42.50 ($57.50) discount was a slap in the face in light of the filthy state of our linen. We were both shattered at her paltry “discount” and both are writing reviews to warn others. Had this been in the States, the manager would have more than likely moved us or, if that wasn’t possible, given us the room free of charge. The manager didn't even look horrified. We didn’t expect a free room, but a 25% discount was insulting to say the least. She could have avoided any bad publicity by really going the extra mile for us, but she didn’t. Unfortunately these are not my best photos but if you look carefully, you can definitely see what we discovered.